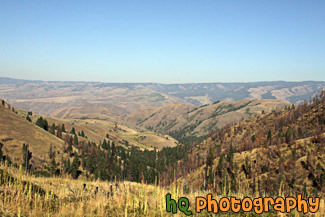 #2157 — A scenic picture taken of some hills located in the State of Idaho just near Hells Canyon. 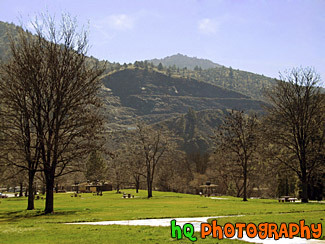 #69 — A pretty rest stop off I5 on the way to California. This scenic photo was taken on a sunny day during the end of winter season. #287 — Scenic photo of a Lake Tahoe ski resort. 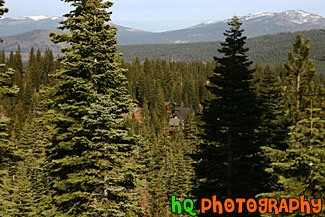 Looking through the Evergreen trees you can see the buildings of the resort surrounded by the trees. Every winter tons of people migrate to Lake Tahoe to take advantage of the great skiing.